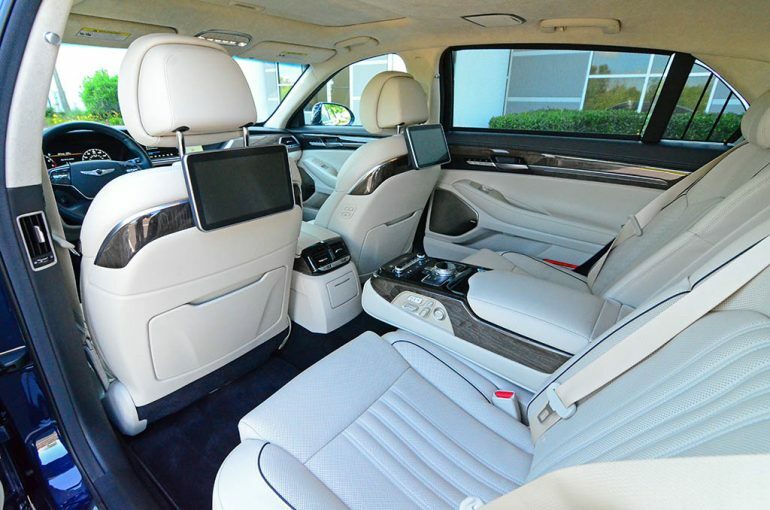 Admittedly, when it comes to luxury cars in America, we don’t depart too far from tradition in demanding the proper creature comforts that you find in high-dollar vehicles from the brands of Mercedes-Benz, BMW, Lexus, Audi, and many others. 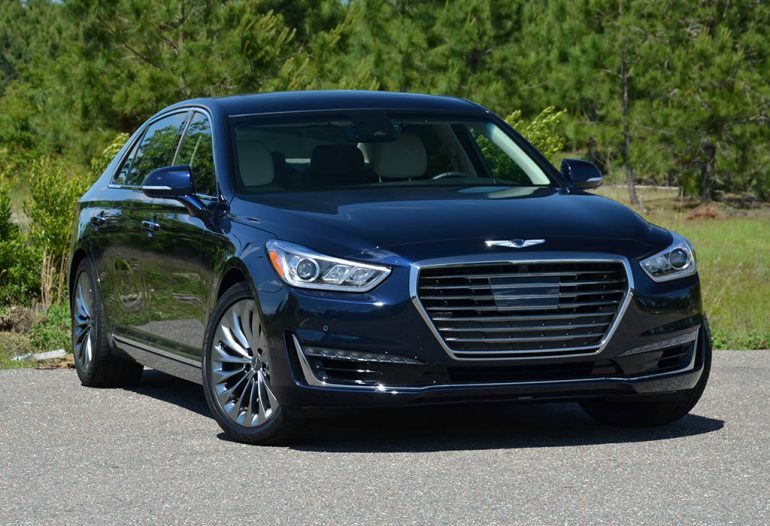 Retaining a page from the tradition of automotive luxury, the new Genesis brand has been birthed to gain recognition in the luxury spectrum but doing such without the expected high price tag. 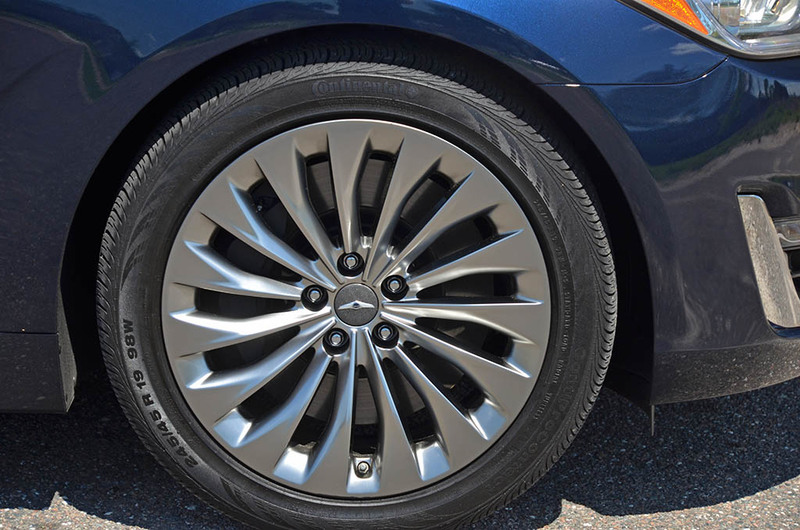 To put things in motion, the Genesis brand, which is an offshoot of what was known as the highly praised Hyundai Genesis sedan, is now a full-on luxury brand. Initially introducing two premium sedans, the G80 and G90, Genesis has set out on a mission and tends to welcome new and returning luxury buyers. 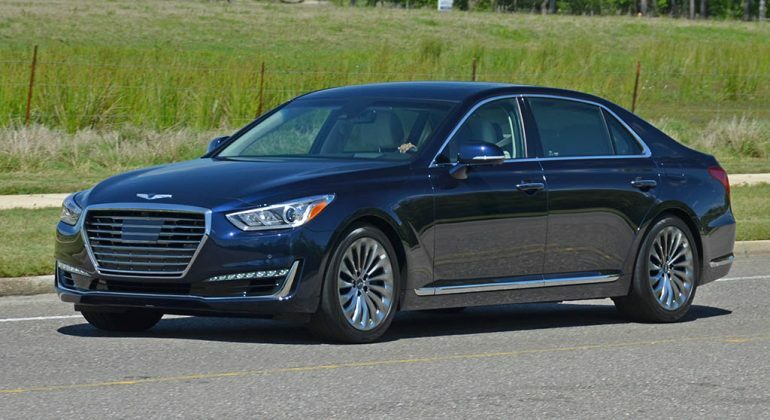 One of their new premium sedans, the 2018 Genesis G90, not to be confused with the departed Hyundai Equus, carries the new brand into a place where not many have ventured – into a coveted automotive luxury landscape with the usual suspects wearing the badging of S Class, 7 Series, A8, XJ, and so-on. 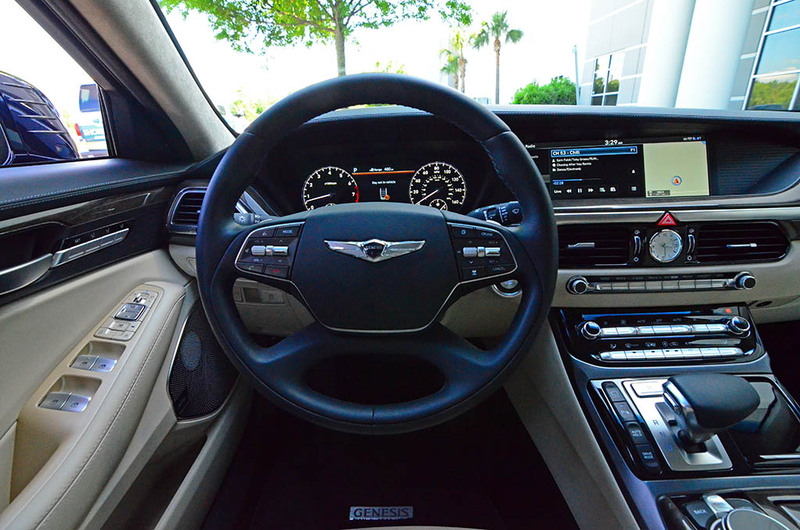 In such a space, the G90 has its work cut out to compete, and after a full week with the new “mature” kid on the block, I can say Genesis has done well with their homework, and it will pay off come time to receive a passing grade. Genesis, like the first book in the Bible, marks a new beginning for the Korean brand. Whether the name is intentional or not, the fresh start for the luxury brand has a long road to travel, and it will face many obstacles along the way. Though, in experiencing the G90 first hand, I’m quite pleased with what Genesis has done to compete with the juggernauts of automotive luxury. 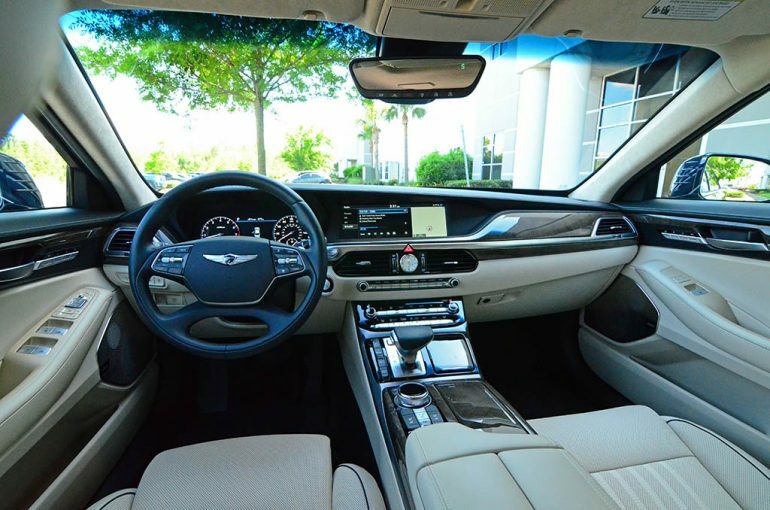 To start things off right, the new Genesis G90 can be had with a 5.0-liter V8 engine, which is a nice ‘level-up’ complement to its also-robust 365-horsepower 3.3-liter twin-turbo V6 engine, which is the standard engine choice for the base-level Premium trim, one of two distinct trim levels. The V8 in my rear-wheel-drive test vehicle, the engine choice for the higher-level Ultimate trim, has a healthy dose of 420 horsepower and 383 ft-lbs. of torque. Both engine choices get mated to an 8-speed automatic transmission and can be equipped to send power to just the rear wheels or to all four by way of an optional HTRAC all-wheel-drive system. Interestingly, there isn’t much disparity in fuel consumption numbers between the two engines and drive layouts. My V8-powered Genesis G90 Ultimate test vehicle gets an EPA-estimated 16 mpg city, 24 mpg highway, and 19 mpg combined. 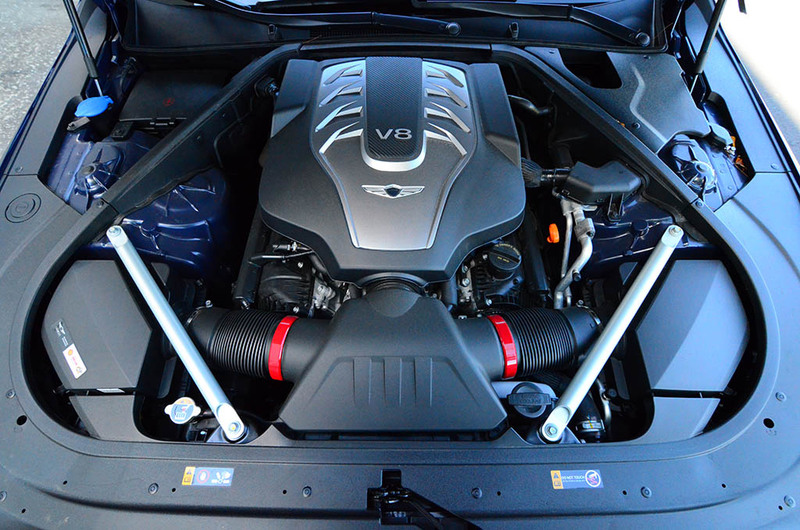 The twin-turbo V6 G90 Premium only bests its V8 stablemate by 1 mpg in the city and combined figures, getting 17 mpg city, 24 mpg highway, and 20 mpg combined. 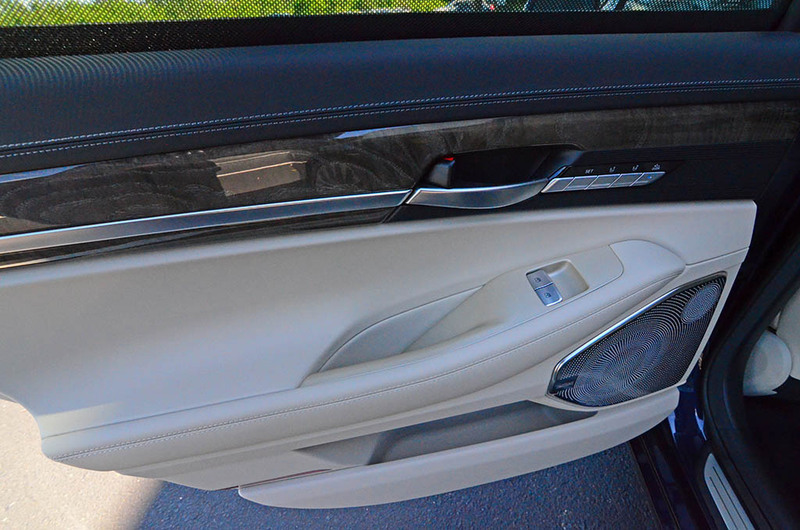 Having such a large sedan, there’s much to be expected to keep in line with the competition when it comes to performance. 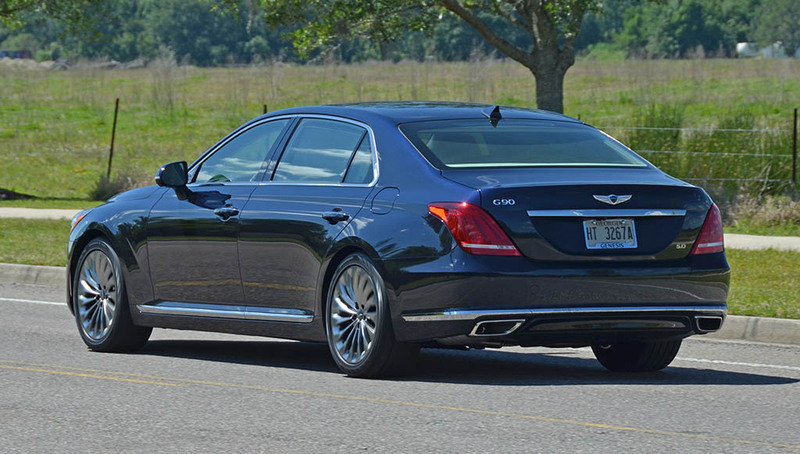 Fortunately, the Genesis G90 5.0-liter V8 has a surprisingly stable ride quality and remains on pace to keep disappointments to a minimum. Dashing to 60 mph from a standstill takes just 5 seconds, which is a half a second quicker than the turbocharged V6 trim. 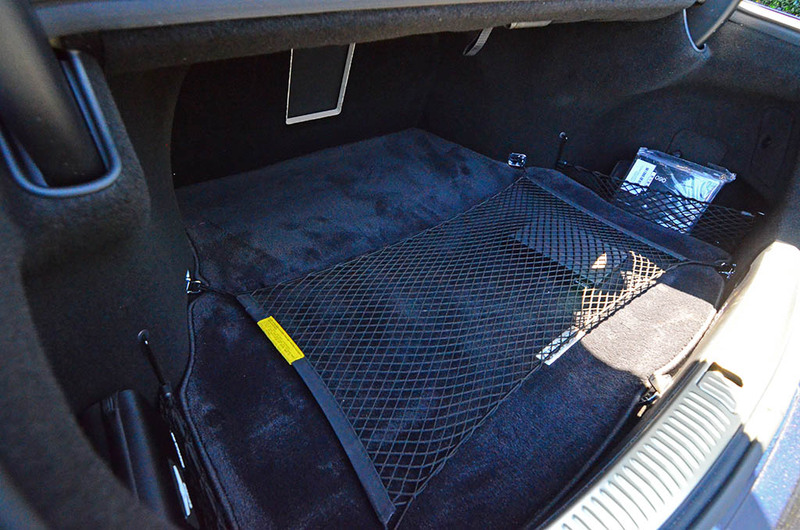 The stability combined with a supple ride quality is much in part thanks to its adaptive suspension dampers. The drive modes, a total of five (Smart, Normal, Sport, Eco, Individual), appears to be best with the Individual mode configured for a Sport suspension setting and a more lax transmission shift pattern, which ultimately reduces body roll and delicately firms things up without losing the overall smooth ride quality. 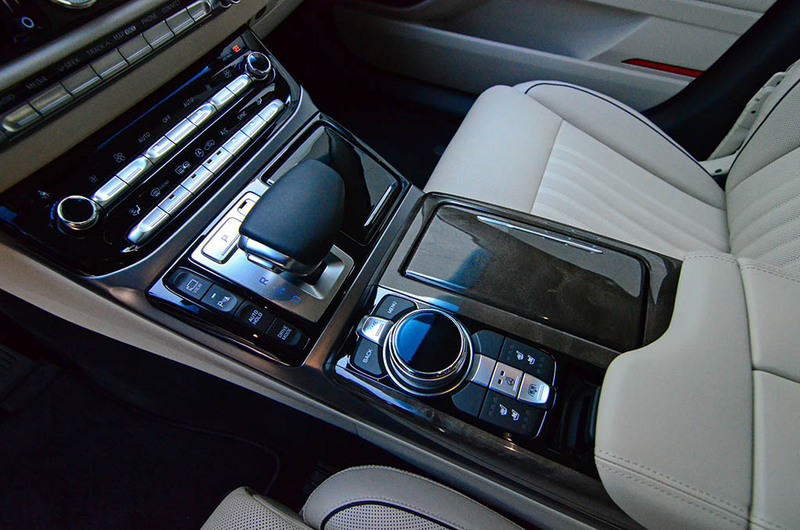 Unfortunately, the 8-speed automatic transmission has a slow response at times where power is immediately demanded. Also, there isn’t much feedback or communication from the road through a mostly numb steering rack, even when resistance is added in the Sport drive mode. 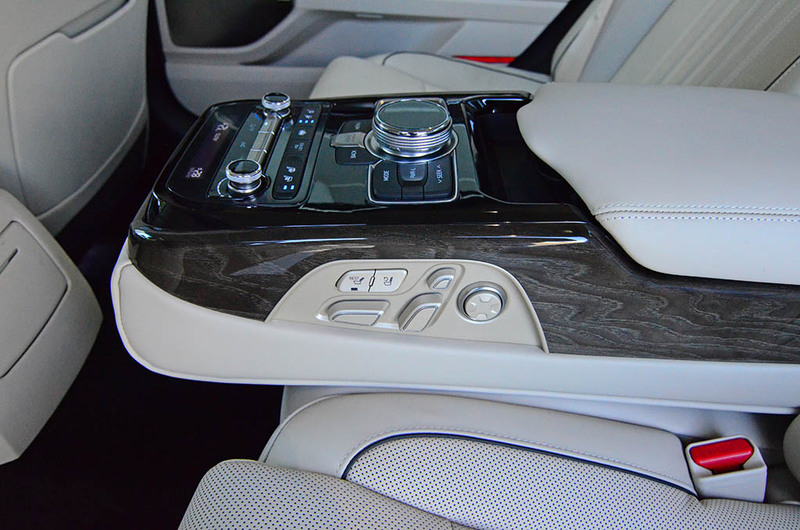 Though, I will say that the lack of feedback is a quality that most buyers of full-size luxury vehicles want. Overall, the Genesis G90 rides just as you would expect but surprises in its decent stability for such a large car. As the flagship of the Genesis brand, the G90 sedan is looked upon to set the tone but may have skeptical views initially. 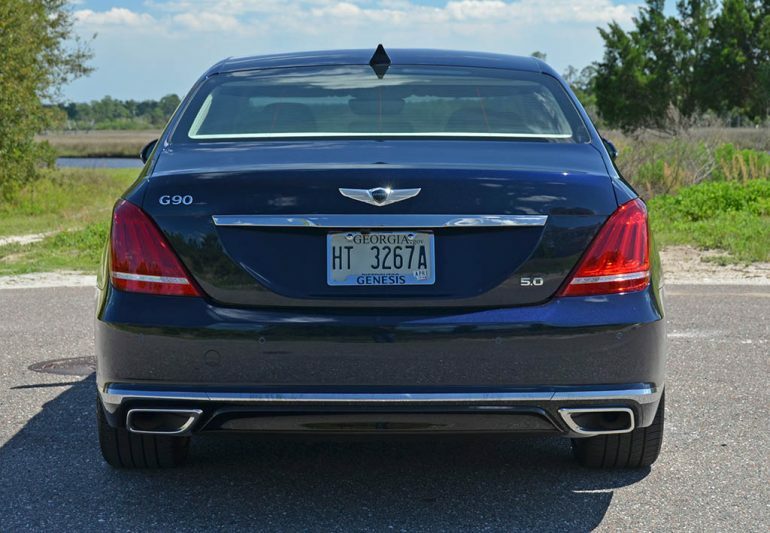 Apart from its all-new branding, the G90 looks the part of a conservative yet large luxury sedan. Most of its design is contemporary and doesn’t do much to stand out in a crowd. 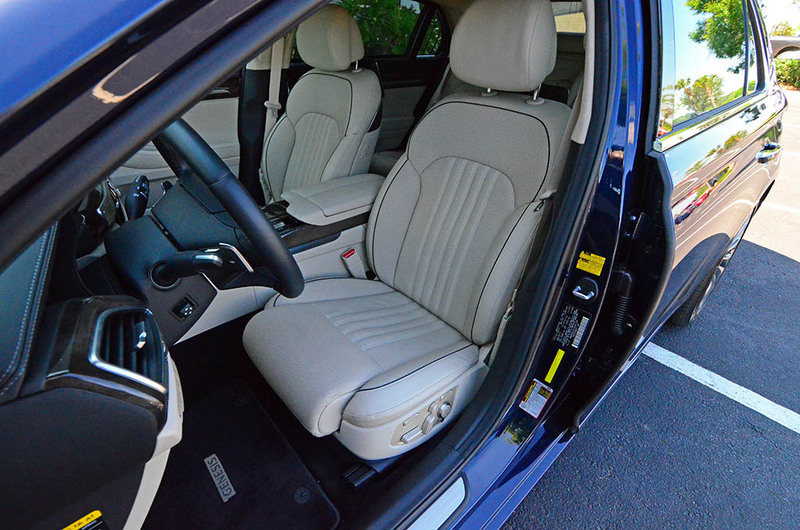 However, once you’re inside of the new G90 in its top-level Ultimate trim things start to get interesting, in a good way. 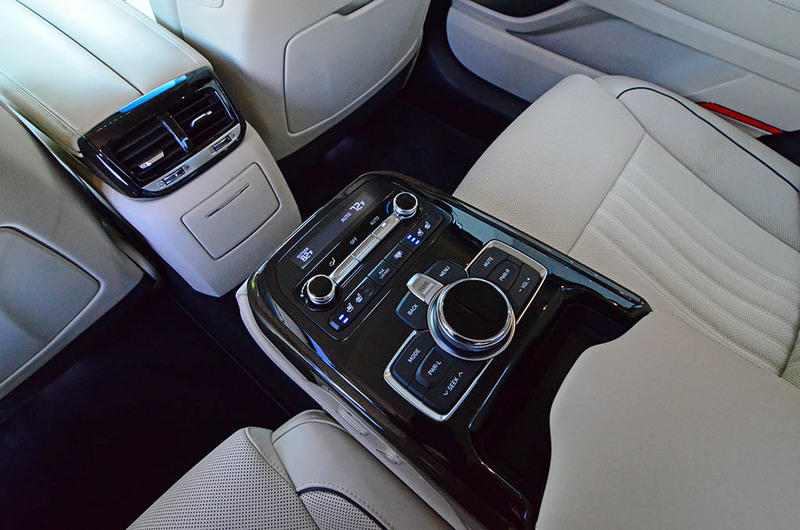 There is a long list of welcomed luxury amenities and premium features that you would expect in a vehicle in its segment. 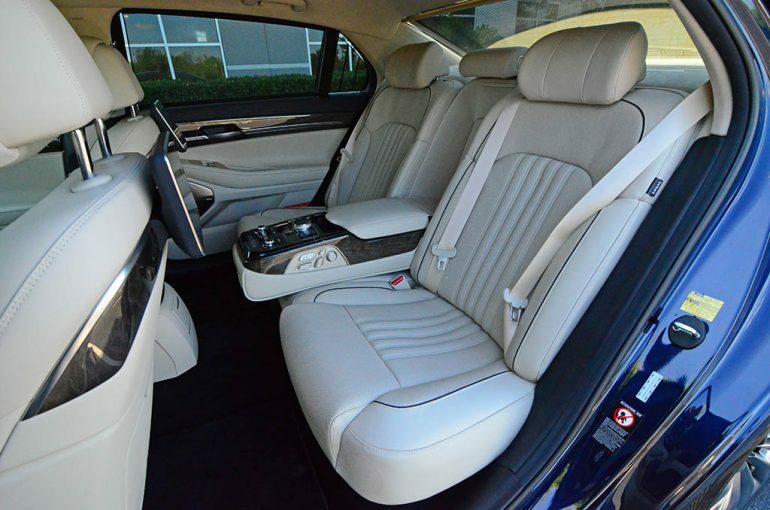 The 2018 Genesis G90 Ultimate gets the following notable features: Full LED lighting with steering-responsive headlights, Nappa leather seating, 22-way power adjustable driver’s seat, 16-way power front passenger’s seat, 14-way right and 12-way left power adjustable seats in the back, front and rear (outboard) seat heating and ventilation, a tri-zone automatic climate control system, a multi-view 360-degree camera system, high-beam assist, color heads-up display that displays active safety information such as the blind spot monitors, power sunshades (rear and rear side windows), LED interior ambient lighting, a 17-speak Lexicon surround sound audio system, a 7-inch color gauge cluster information screen, and a large 12.3-inch color infotainment display. 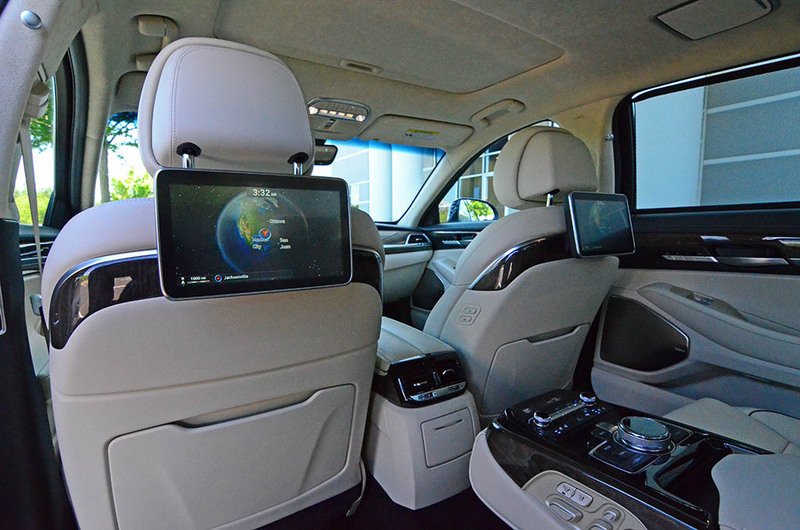 The outboard rear seats of the G90 Ultimate each get a 10.3-inch HD screen for back seat entertainment and a display of vehicle information and controls. 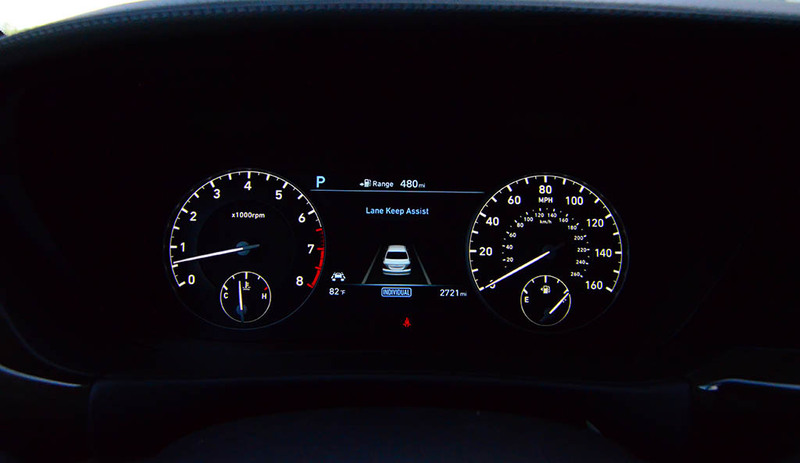 Furthermore, there is a bevy of active safety features, such as adaptive cruise control with stop and go, rear cross-traffic alert, lane change assist, lane keep assist, blind-spot monitoring, front/rear parking sensors, and pre-active seatbelts. 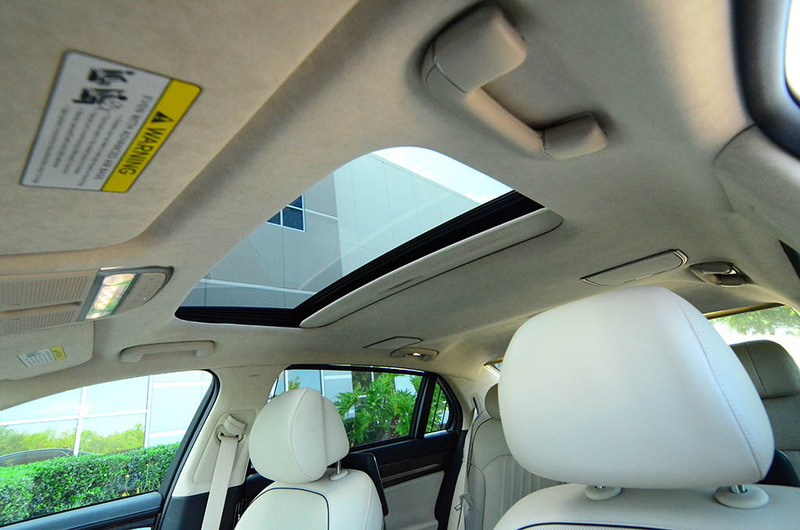 Many of the interior controls are appropriately placed for ease of reach. 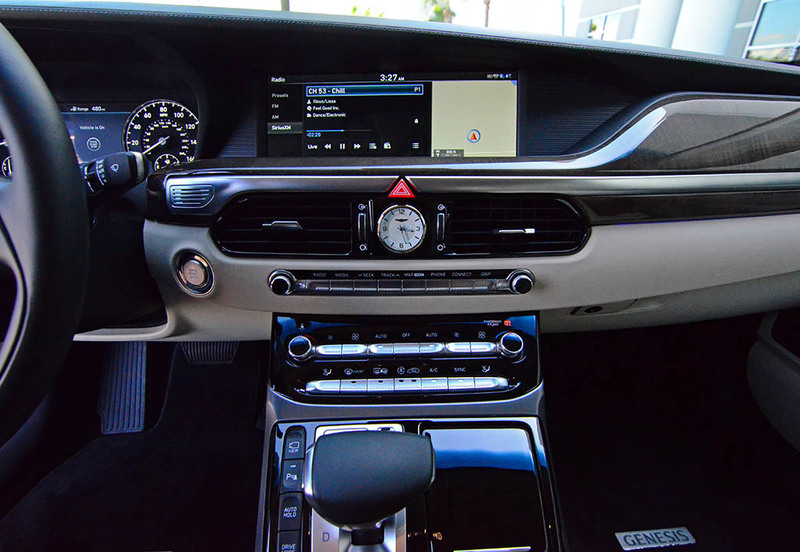 However, the infotainment unit, which lacks a touch-screen, can be somewhat cumbersome in finding a few proper menus or controls initially. The system, for the most part, is user-friendly but it does take some acclimation and a learning curve that requires some seat time in a parking lot. 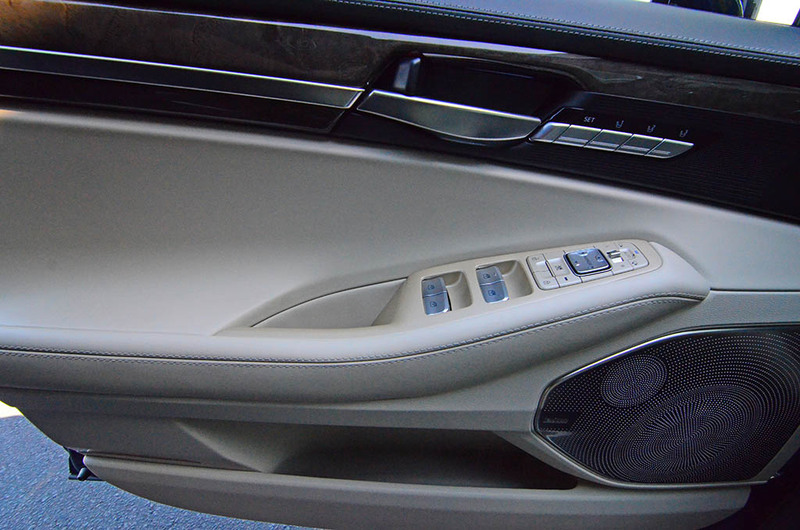 Here, Genesis could have taken note from Hyundai to retain a touchscreen for that extra level of versatility and control. Otherwise, the large screen real-estate gets a bit lost in translation. Additionally, the G90 doesn’t incorporate Apple CarPlay or Android Auto at the moment, which I expect to be implemented in the years to come. 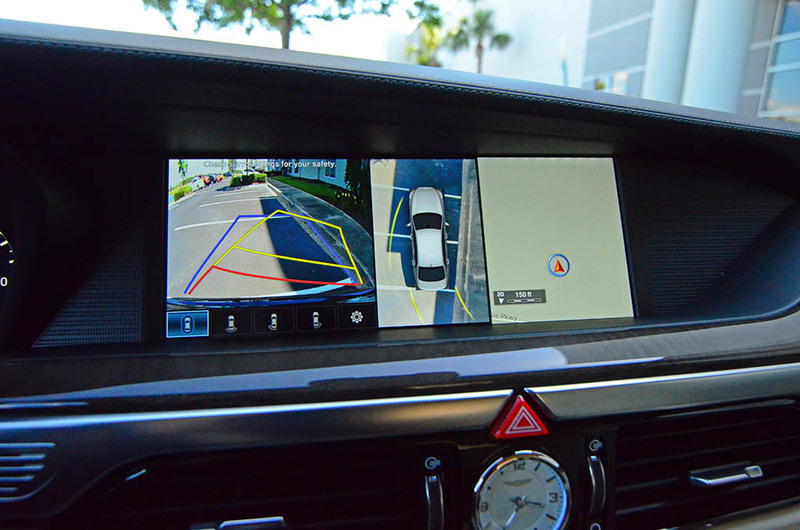 It’s possible that the Genesis telematics and Genesis Connected Services app somewhat make up for the lack of additional smartphone integration, which combines roadside assistance, automatic collision notification, vehicle diagnostics, and maintenance reminders. 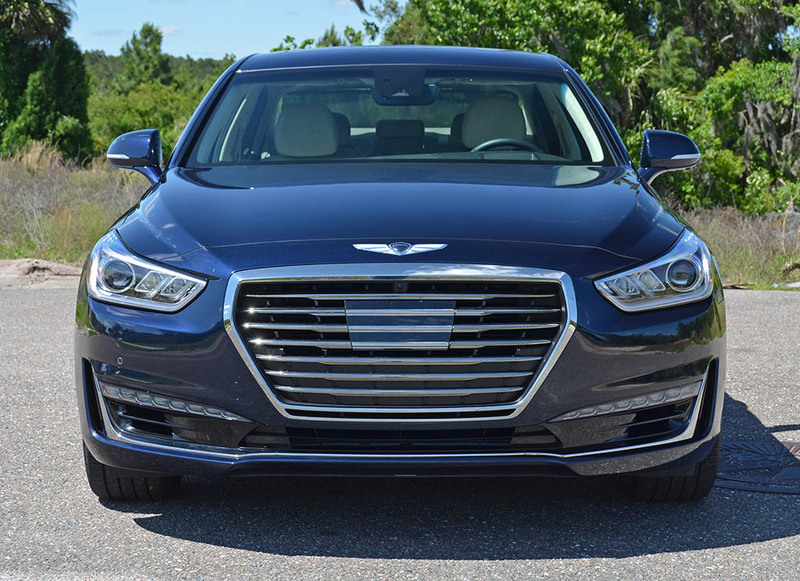 The area where the Genesis G90 may edge out its competition is its price, which there’s much to be said about the collective of parts that the G90 offers. While much of the cabin and exterior can be somewhat on the conservative side and never offering anything that jumps out over rivals, the value proposition that Genesis has presented may be a trick up the sleeve. 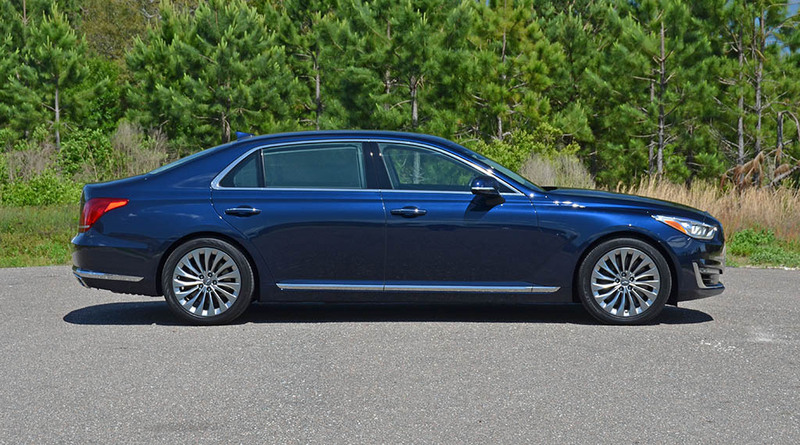 Having a full-sized luxury sedan with the proper chops to appease luxury seekers, the G90 does well to hold its own and some considering its price point that starts at just $68,350. 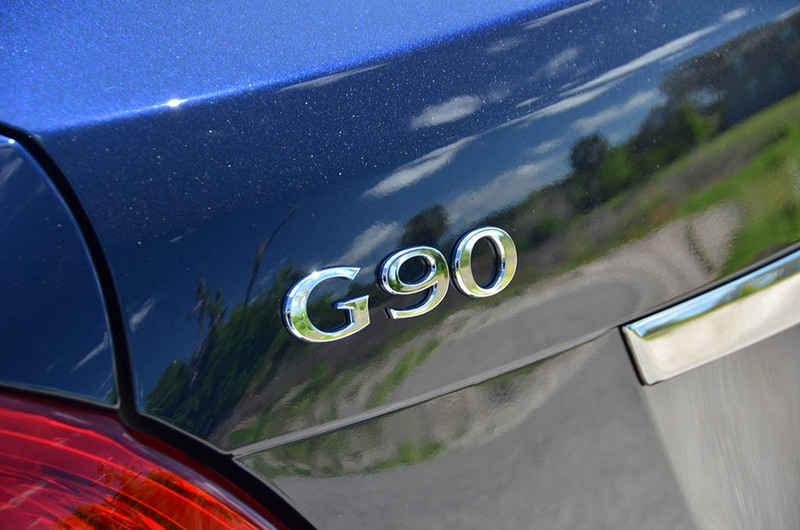 Moreover, my loaded-up G90 Ultimate test vehicle, which automatically groups a full list of additional features over the base Premium trim, tests out at a price of $72,825, which is considerably less than all its competition. Things can only get better for Genesis from here on out, which has already received an expansion with the smaller G70 luxury sports sedan and plans to build out more Genesis-exclusive dealerships. With the expectation of SUV/crossover offerings to wear the Genesis badging, there’s a lot more in store for a new and intriguing automotive luxury brand in America. The G90 is just a start, a very good start.